Never in a million years did I imagine myself having a jogging stroller. Before I got pregnant (or even had babies on the brain), I was an avid gym goer (still am when I have the time). 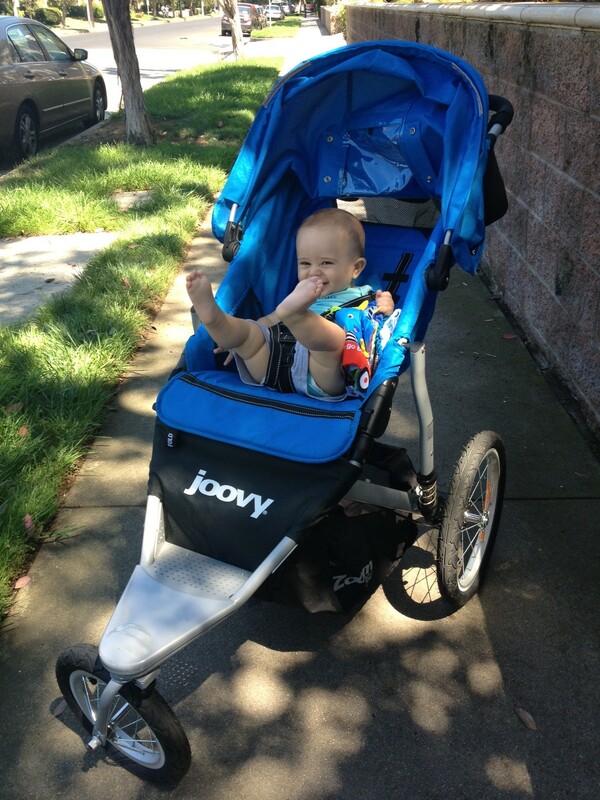 So when I’d see these jogging strollers on the streets, I never imagined that I’d ever be a mommy with one. Years later, I’m a mommy and a jogging stroller is something I wanted SO badly. I am fortunate enough to have been given the opportunity to not only review a jogging stroller, but to review and have the Joovy Zoom 360 jogging stroller. The stroller comes with all the bits and pieces that you need – the stroller organizer, the weather cover, and a pump for the tires. I love how all the accessories come with the stroller so you don’t have to feel like you’re getting nickel and dimed. Now on to the stroller!! The Zoom 360 comes in with shock absorbing suspension system (yes…super fancy), an extra large canopy, a storage underneath, two side mesh pockets (these hold things SO tightly in the stroller), a swivel front wheel that can provide maximum maneuverability and that can lock for long straight paths, and folds so compactly you can put it in the corner. It also comes in blue, red or black. I definitely recommend this jogger for all you walking/jogging/fitness mamas out there. SUCH a nice ride.